There were two distinct ‘Death of Bill Brown’ songs put out by the broadside printers, although both would appear to have been based on an incident which took place at Brightside near Sheffield in 1769. You’ll find details on the Yorkshire Garland Group’s page for ‘The Death of Poor Bill Brown’, along with a recording of this song by the fine Yorkshire singer Will Noble. An example of the earlier version of the song is this printing of ‘Bill Brown’ by Harkness of Preston, put out between 1840 and 1866. The version shown below, which is much closer to the version which survived in oral tradition, was printed in London by H.P. Such between 1863 and 1885. Poor Bill Brown, printed by Such between 1863 and 1885. From Broadside Ballads Online. Like Will Noble I learned this song from the singing of Arthur Howard (1902-1982), although unlike Will I learned it from a record, not in person. Arthur Howard was a sheep farmer from a long line of South Yorkshire sheep farmers. Born at Mount Farm, near Holme, a few miles south-west of Holmfirth, he later lived and worked on a farm at Hazlehead near Penistone. He was a leading light among the singers of the Holme Valley Beagles, as heard on the Leader LP A Fine Hunting Day. 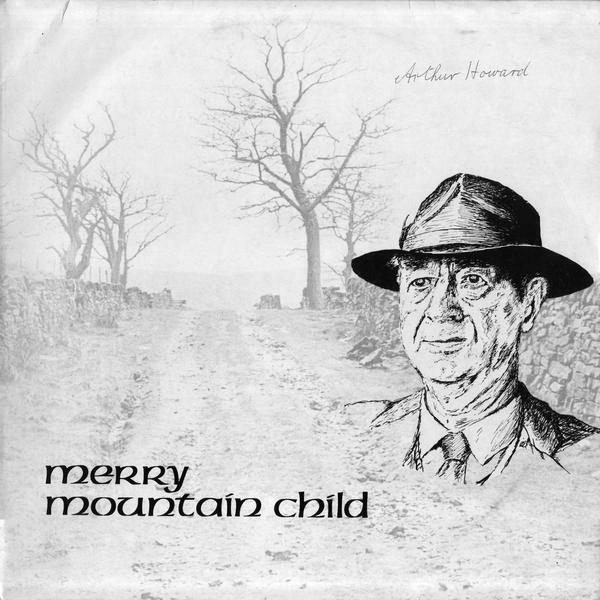 This song, which he learned from his father, appears on Arthur Howard’s solo LP, Merry Mountain Child, released on Ian Russell’s Hill and Dale label in 1981. It was later included on the EFDSS CD A Century of Song. The album cover shown below is pinched from Reinhard Zierke’s Mainly Norfolk site. I see that his copy, like mine, is signed. I seem to remember that in the early eighties Ian Russell advertised signed copies of the LP in the back of English, Dance & Song. I’m guessing that Reinhard ordered his copy from there, as I did. The recording here is unaccompanied. Back in 1994, I recorded it for Magpie Lane’s second album, Speed the Plough. That arrangement had a typically tasteful guitar accompaniment provided by Pete Acty, with a Northumbrian smallpipes part which I wrote (and was rather pleased with) played by Liz Cooke. If you want a physical copy of that CD, I see there’s one for sale on Discogs.com just now. But you’ll find it cheaper to download from whichever tax-avoiding digital platform you hate the least. One final note, in the verse that begins “I know the man that shot Bill Brown”, the word “clown” (in the line “I know him well and can tell his clown”) should perhaps be spelled “clowen”. I’ve been reliably informed (by a man who knows the great Graham Metcalfe) that this is a Yorkshire dialect word meaning “clothes”. Knowing this, the rest of the verse makes sense.